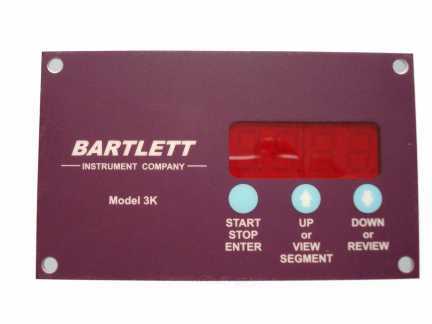 Model 3K must be the most user friendly smaller kiln controller available today. Uses inexpensive K type or R Type thermocouple sensor . Up - to - Minute Microprocessor Design . Select your Rate of Heating. The Temperature in Degrees Centigrade or Fahrenheit. The Soak or Hold Time in Hours and Minutes. The Delay Time in Hours and Minutes. This is a six segment controller using cone terminology and technology. The controller has a digital countdown timer and digital temperature display. It will store four different programs of six segments. Easily to build into any existing kiln , take out the old kiln sitter and fit a new Model-3 into it's place with an adaptor plate. This panel mount controller comes with a Transformer ,1 x Relay 25 Amp , Operating Manual.